Make no mistake about this album, it is loud, heavy, alive and ready. Lincoln St. Exit was formed in June of 1964. Since then they lost one of their musicians, Paul Chapman(who died). The three original members, Michael Martin, Mac Suazo and Lee Herres, still remain with the group. Their music is influenced greatly by the American Indian culture of New Mexico. This is evident in the hard-driving beat and hypnotic rhythm pattern that is maintained throughout the album. Their own personal feelings and the many hard times they have encountered along the way all come through in their music. As co-writer on some of the material, our view of the war is expressed in the two compositions "Man Machine" arid "Time Has Come Gonna Die". We move from such gospel-orientated tunes as "Going Back Home" and "Soulful Drifter" to the down home sound of "Teacher Teacher" and "Dirty Mother Blues", the latter being so heavy it shakes all of your \ital organs Our snnga also deal with modern sexual mores, as in "Straight Shootin1 Man", "Got You Babe" and "Phantom Child". Lincoln St. Exit have been together for over six years, and they're going to make it. 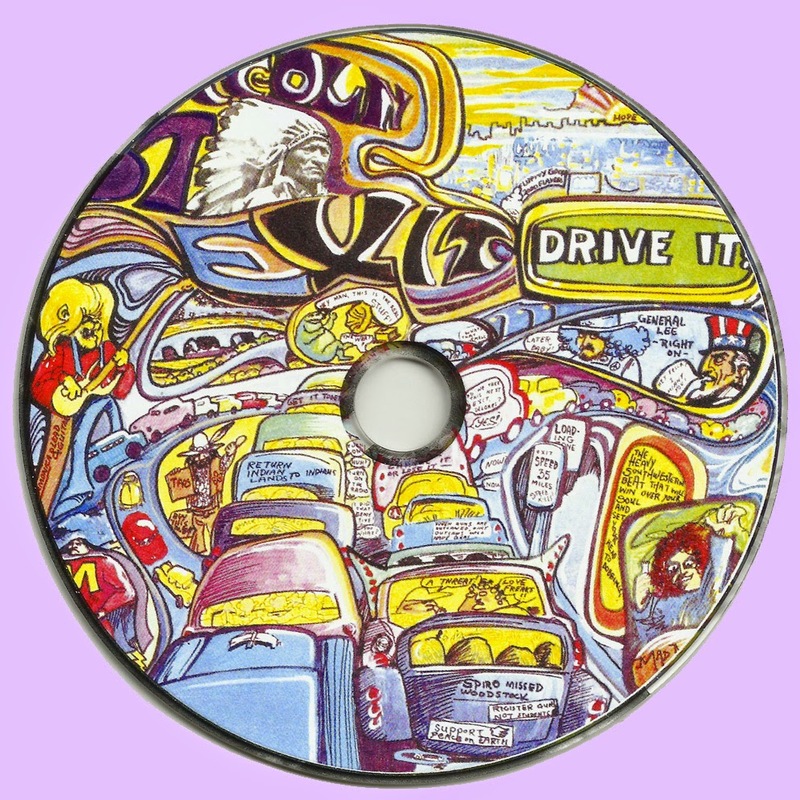 Lincoln St. Exit were Albuquerque, New Mexico’s premiere garage/ psych band of the late 60′s, early 70′s. 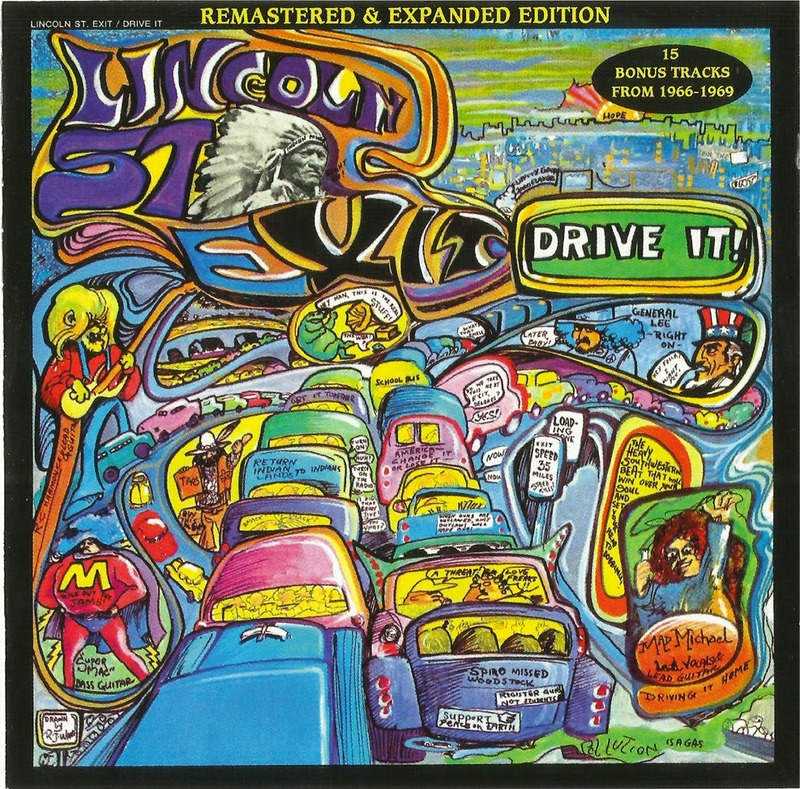 In early 1969 Lincoln St. Exit, Mike Martinez, Mac Suazo, RC Gariss and Lee Herrerra recorded in Clovis New Mexico at the Norman Petty Studios and the song "Soulful Drufter" emerged from the "Drive It" Album. The album was distributed by Mainstream Records. Artists like Janis Joplin (Pre Columbia Records) and Amboy Dukes (Ted Nugent’s group) recorded for the label at the same time. Soulful Drifter gained radio station play and Exit had a hit record along the Great Lakes Area. The airplay was enough to catch the ear of Motown records in Detroit. Thank you very much Marios. thanks to upped this album Marios! The tracklist in the files is way different than posted here. Which one is correct? Ola pessoal, blz como consigo o link pra baixa este cd.